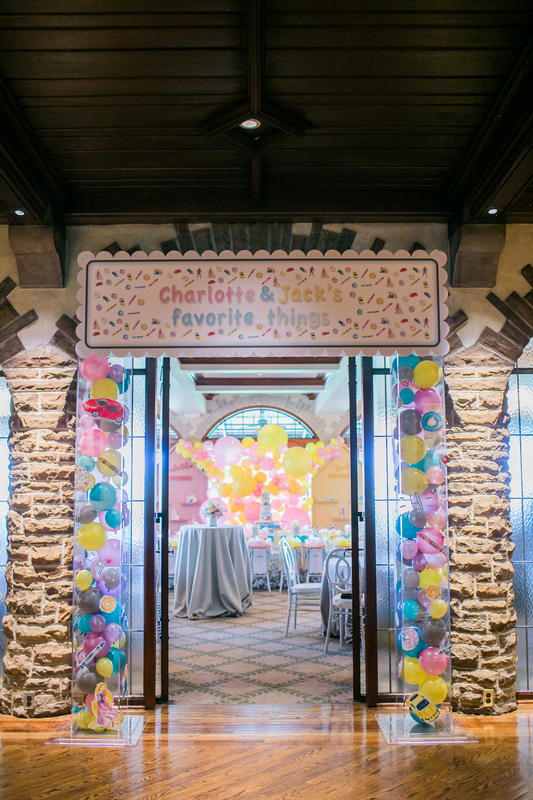 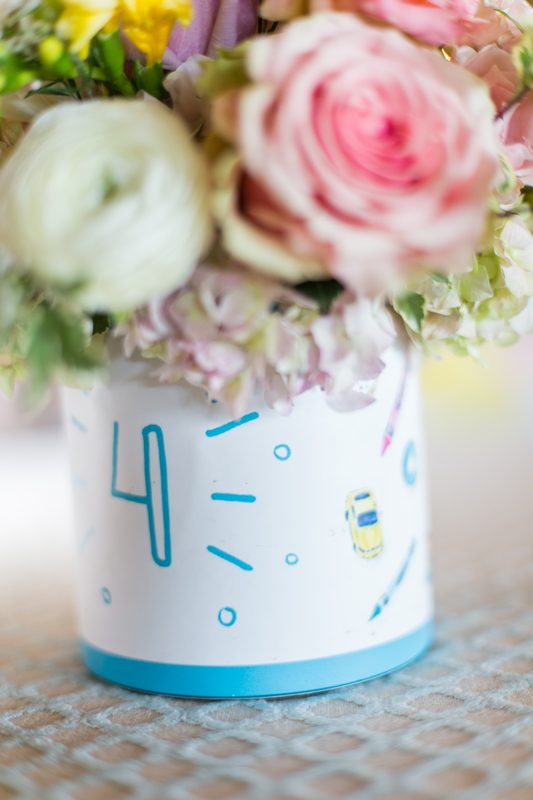 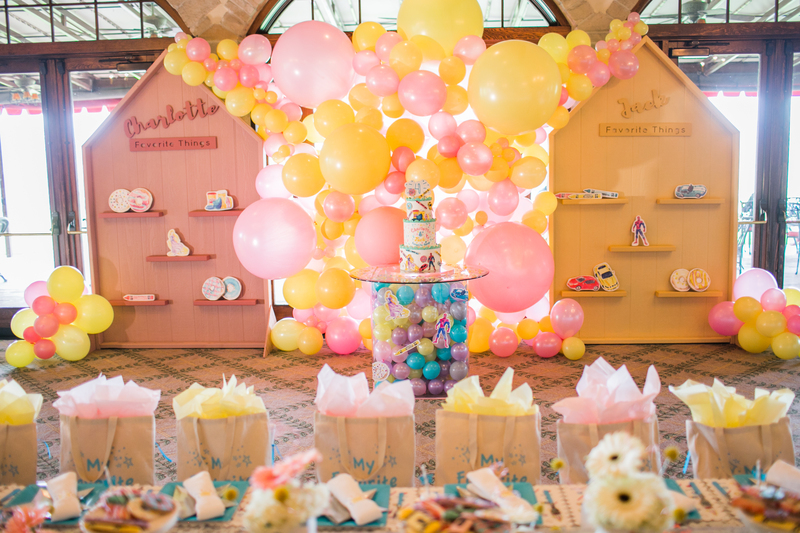 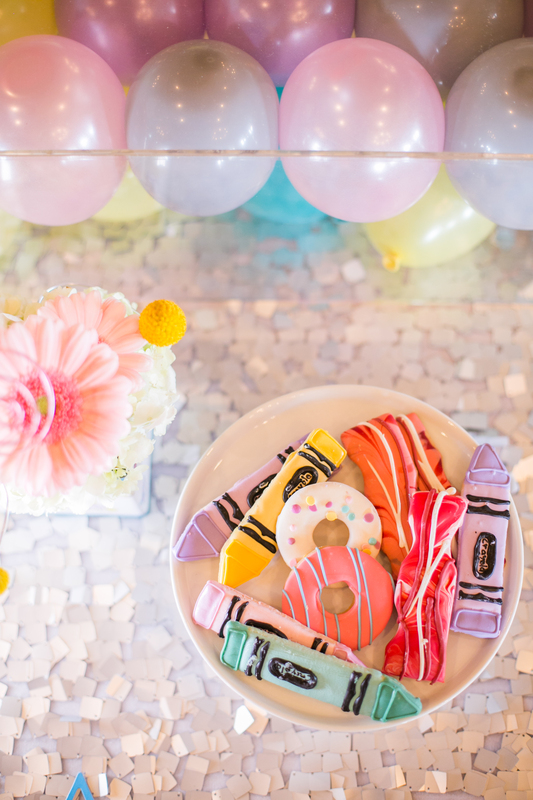 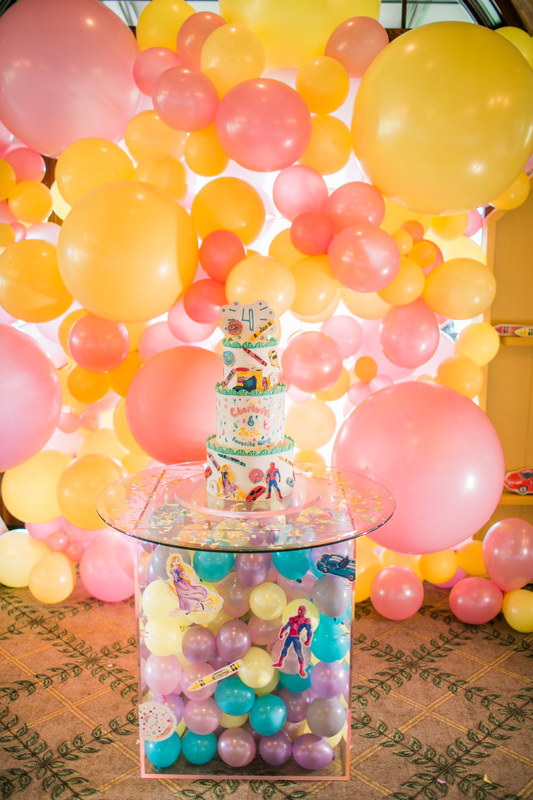 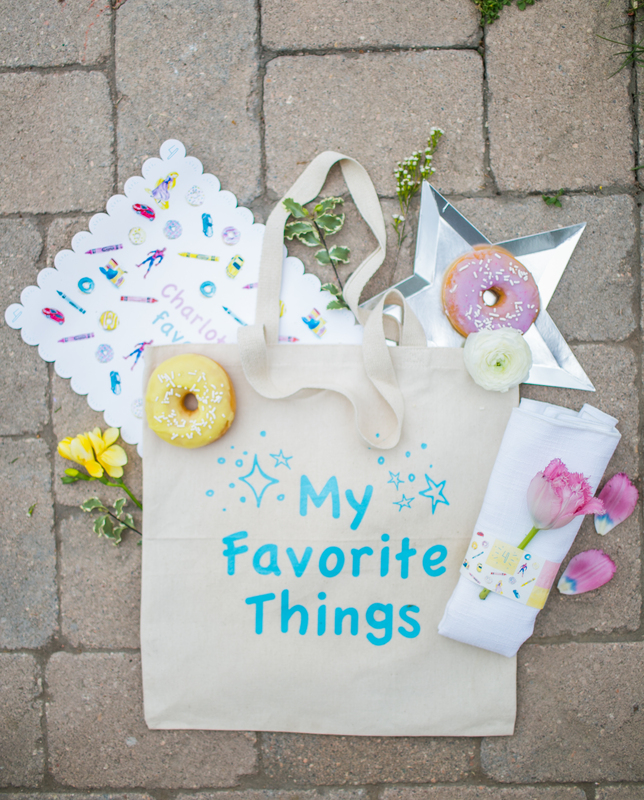 Balloons, water-colored decor, colorful doughnuts, tasty bacon, and more took over Cherry Hills Country Club this spring, to celebrate Jack and Charlotte’s 4th birthday. 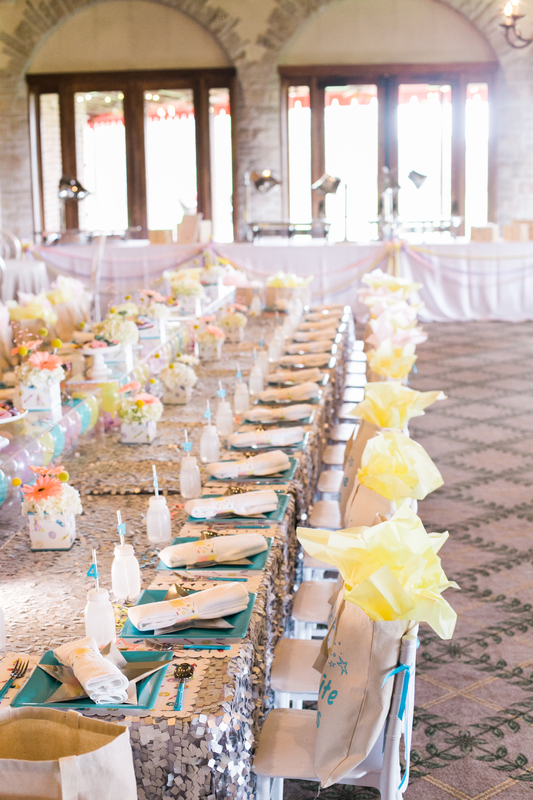 A long 24′ table centered the room, making way for 32 little guests. 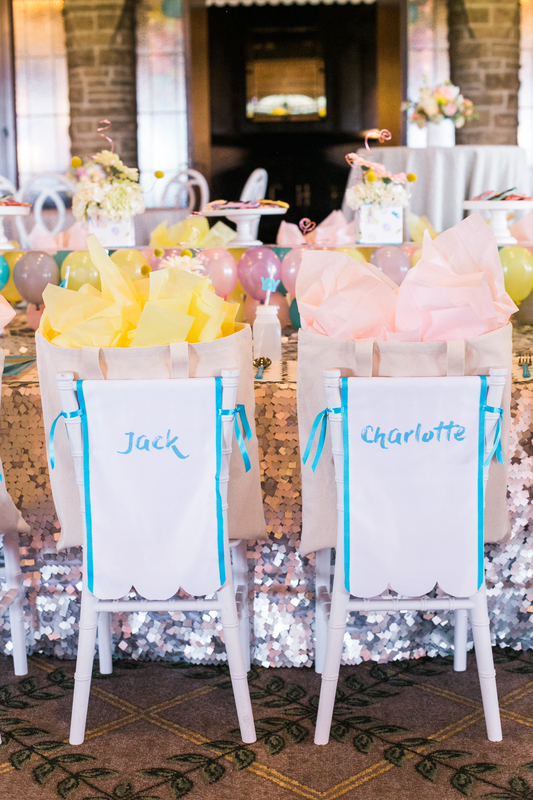 A silver confetti linen, mini chairs, a balloon table runner (with their favorite colors), and chair sleeves with each child’s name printed on, gave this theme a one of a kind aesthetic. 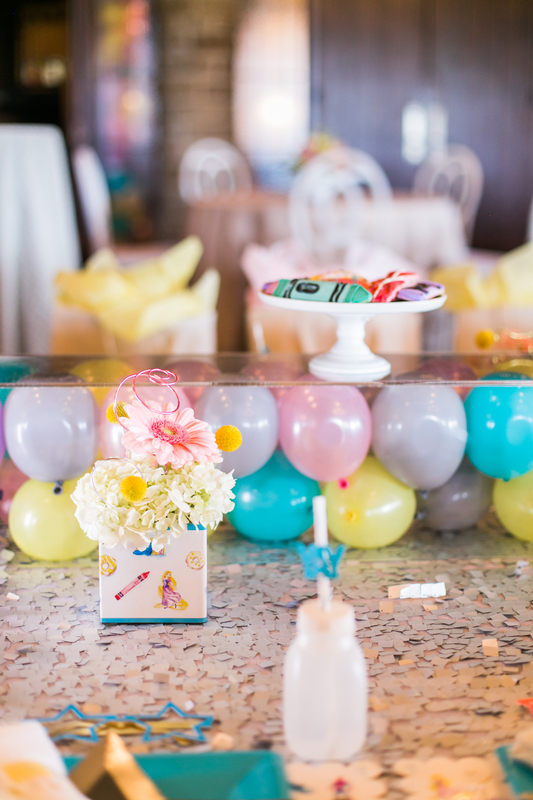 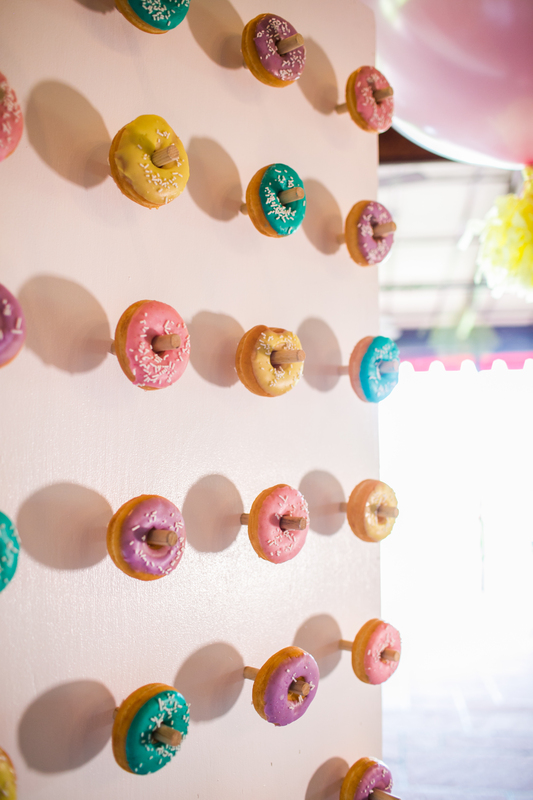 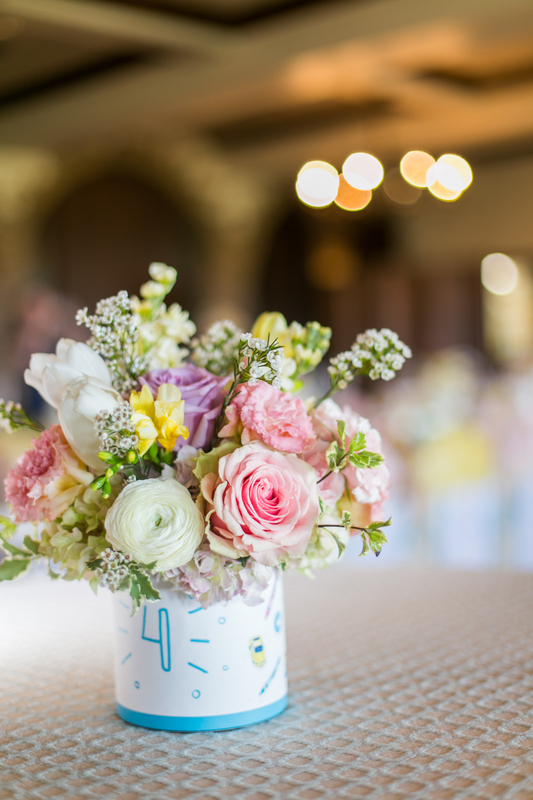 To finish off the details, bright florals decorated the space, a large coloring wall lined one of the walls, and adult tables were mixed throughout – so there would be fun for all.